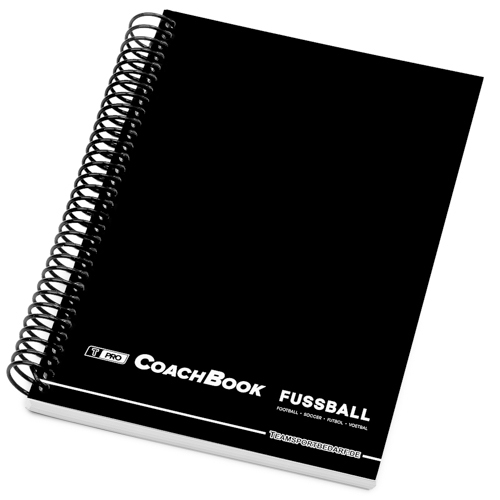 You get a high quality T-PRO Coach book in DIN A5 (with spiral binding). 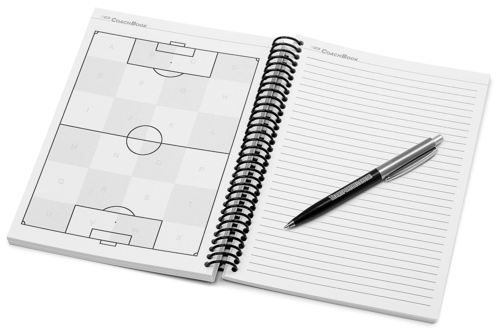 The football planner with 100 internal pages, offers enough space for tactical sketches and notes. It is ideally suited for training and game preparation, as well as for tactical instructions during the unit or the game. The football field is divided into 24 tactical zones (A-X). By dividing into tactic zones, the players get a better sense of position and the coach can train with short zone details, even during the game. 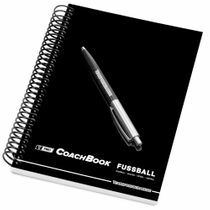 As a bonus you get a high-quality Teamportbedarf.de metal ballpoint pen when purchasing this T-PRO Coach book, . Block pricing for larger quantities can be found below in the table. More workbooks and notebooks, as well as other T-PRO aids required by trainers can also be purchased in our store. Even trainers of professional football work with our products! 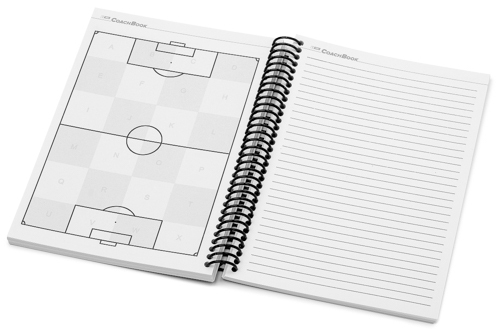 You get a high-quality T-PRO Coach Book in DIN A5 (with spiral binding). 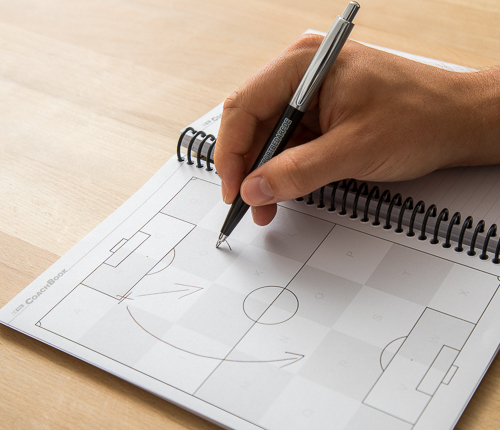 The football planner with 100 inside pages offers enough space for tactical sketches and notes. The sides are printed on both sides (front - writing lines and back - playing field) and therefore ideal for training and game preparation, as well as tactical instructions during the coaching or the game. The football field is divided into 24 tactical zones (A-X). By dividing into tactical zones, the players get a better sense of position and the coach can coach with short zone information, even during the game. As a bonus, when you purchase this T-PRO Coach books, you will get a high-quality Teamsportbedarf.de metal ballpoint pen. Bulk prices for larger quantities, can be found HERE. More workbooks and notebooks, as well as other T-PRO aids required by trainers can also be purchased in our store. Even trainers of professional football work with our products!